Seeking permanent resident certificates (PRC) for the non-Arunachal Pradesh Scheduled Tribes (APST) settled in Namsai, Lohit and Changlang districts, the United People’s Movement of Lekang (UPMoL), a hitherto little-known organi-sation, supported by various other organizations, has threatened to launch an economic blockade in eastern Arunachal. The organisation claims to have the support of powerful student organizations of Assam, including the All Assam Students’ Union, the All Assam Moran Students’ Union, the All Deori Students’ Union, the Takam Mising Porin Kebang and the Adivasi Tea Tribes Association behind its announcement of a blockade in the event that PRCs are not granted to the non-APSTs by 25 January. Namsai, Lohit and Changlang have sizable non-APST populations, and they have called present Arunachal their home since much before the formation of Arunachal as an Indian state. 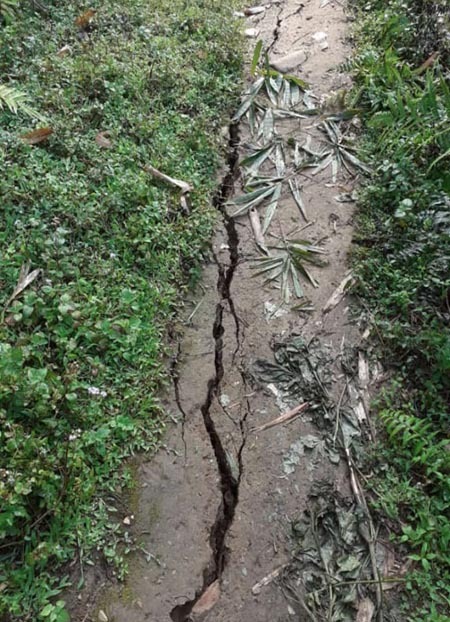 Many Adivasis, Misings, Deoris and Morans have been in the areas concerned since even before 1968, the demarcated year for consideration for granting of PRCs, and Changlang’s Bordumsa-Diyun legislative assembly constituency is an open seat. The Lekang assembly constituency, though reserved, also has sizable non-APST voters. In these two constituencies, the non-APST voters are the ultimate deciders of who become their representatives. Therefore, the PRC issue takes centre-stage whenever election is due in these areas. However, granting of PRCs to the non-APSTs there has ended up becoming the proverbial dangling of the carrot. The Gorkha settlers in Vijaynagar, in Changlang, have a different story altogether. After the 1962 war, about 200 retired Assam Rifles personnel and their families were settled there on lease. The lease expires in 2020. The Yobin community is opposed to their continued settlement. While there is the warning from organisations about an economic blockade, which is not going to help anyone, one needs to look into the joint high power committee (JHPC), headed by minister Nabam Rebia, which is currently looking into the feasibility of granting PRCs to the six non-APST communities of the state, spanning across Namsai, Lohit, Changlang and Papum Pare districts. As of October 2018, the JHPC was unable to come to a conclusion, even though the state cabinet way back in 2010 reportedly agreed on granting PRCs. The debate – rather the claims and counter claims, including bandhs and threats of economic blockades – surfaced after Chief Minister Pema Khandu announced in Namsai on 8 December last year that PRCs would be granted to the genuine non-APSTs by January 2019, the deadline set for submission of the JHPC report. The JHPC is yet to submit its report, and in the meantime, amid pressure from various organizations opposed to granting of PRCs, the government came out with a statement on 13 December, saying that it would examine the issue only after the JHPC has submitted its report. “In no point of time will the government take a decision which will be against the interest of the indigenous people and the state,” the government statement read. Perhaps the urgency to announce the date for issuing of PRCs was because of the elections which are due in May. While the debate over the timing of the chief minister’s announcement may go on, the issue does merit discussion on the relevance of the demands of the non-APST citizens of these districts. Downright rejection of their demands certainly will not take the discussion forward because the non-APST communities in these districts have been there since before the formation of the NEFA, and they are not going anywhere, with or without PRC. Therefore, it is important that the JHPC is given more time, and that the people who genuinely deserve PRCs need to be heard. One cannot say that people – those who inhabit the land – are not needed but the land that they own belongs to us. That has been the case so far in the state and it has not taken anyone too far. Xenophobic reaction, when it comes to identity and resources, has been the norm in this state, and it is time facts and figures are taken into account. Is it a political issue which needs political settlement, or does it require constitutional remedies, given the fact that Arunachal is a protected state? If Arunachal is protected, how come the so-called non-indigenous population in these districts own land? One also needs to look into the BEFR, which we often cite. What does it say? If PRC is granted, what are the entitlements and provisions for the non-APST communities? Perhaps none, except for easing admission to educational institutions and securing loans or government schemes. For obvious reasons, the non-APST communities will not get ST certificates; but does giving PRCs violate anything, or is it mere validation of the fact that these communities have called Arunachal home since prior to 1968? Now the question is: what is the way forward acceptable to both the APSTs and the non-APSTs who call Arunachal home? What happens to the Gorkhas who were once settled there on purpose by the Indian government? Now that the borders are secured, will they be uprooted yet again? What does it say about their rights, and the responsibility of a modern Indian state? PRC is not just a mere certificate now. It has been taken to a whole new context by those favouring and opposing it. It is now intractably linked with identity politics, which can turn ugly for all. Therefore, the need of the times is to have dialogue based on understanding and empathy.